By examining general grain boundaries, engineers have shed new light on the mechanisms behind sulfur embrittlement of nickel. Nearly a third of the reaction products generated during fission of U235 in light-water reactors are unwanted gases. 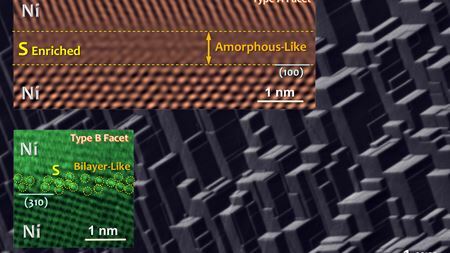 By using an ion beam to twist and bend a nanometer-thick layer of metal, scientists have created nanodevices for manipulating light.